Ask anyone what the best gig they have ever been to is, and you will get a multitude of answers. Some may say that it was a mega stadium hair-band thing, others a small intimate performance is way better. For me though, it was neither, it was simply a very unexpected gig that made me smile. Back in October 2004 we went to the El-Ray theatre in Los Angeles, a small venue with seating capacity of apparently just seven hundred and seventy one people. I would have guessed lower than that, but irregardless it was packed out. Sure there were ticket touts selling outside the door, but they seemed to be running low while we queued to get in. Ben Folds was playing a gig. He has never really done the ‘big stadium’ thing, his style and music does not really translate to big audiences. I had seen him play at a small venue in Solana Beach called the Belly Up Club (capacity 450 ish) a couple of years prior and really wanted to see him again. Our seats were on the left, but close to the stage. There was a buzz, there was chat that there was a special guest, that that guest might be William Shatner. That you could buy a copy of the (rather good) William Shatner CD called ‘Has Been’ from the merchandise stand seemed to confirm this, but there was no official word. Ben came on and did the Ben thing, he rocked the place to its knees, he conducted us, the horn section, for the loudest rendition of ‘Army’ you will ever hear, he tinkled and hammered the ivories and in just a little over an hour, it seemed to be all over. 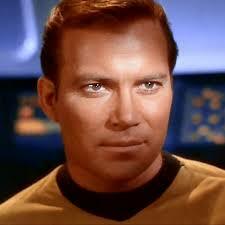 The crowd started to chant ‘Shatner, Shatner..’, convinced that they were right, that Captain Kirk was in the wings. We glimpsed Shatner, ‘We want Priceline’ was the shout. William Shatner, Ben Folds and Joe Jackson came on stage and took their places. Ben Folds looked relaxed, Joe Jackson pensive, Shatner frankly terrified. Shatner launched into ‘Has Been’, with Ben Folds and Joe Jackson backing him, the crowd oooh’ed and ahhh’ed. The atmosphere was intense. By the time the trio had worked through ‘It hasn’t happened yet’, Shatner started to relax, the crowd fell in love with them and the most surreal of gigs because the best of all gigs. ‘Ideal Woman’ followed to massive applause. Then in the most surreal moment of surreal moments, with Folds on the sequencer, the opening bars of Pulp’s ‘Common People’ rang out – the crowd erupted, Shatner and Jackson passed the vocals back and forth, the crowd screamed along and I am sure that the management started to be concerned about the foundations. ‘I can’t get behind that’ followed with Ben folds proving that he is rather handing on the drums and Joe Jackson continuing to provide vocal backup. Not that anyone cared, Shatner had us all where he wanted us, ‘epic’ might just describe it. Then finally, sadly, finally, the opening bars of ‘Lucy in the Sky with diamonds’ began. Shatner had utterly murdered this back in the 1970’s and the audience cringed. Shatner gave us the finger though, we laughed, we cried, we heard them play it straight. It was a truly epic end to a truly epic gig. Eventually the lights went on again and stayed on. It was the best gig ever…..